Plymouth Rock Scene catches up with A WORLD DEFINED after their succesful performance supporting ANAVAE at the White Rabbit, Bretonside, Plymouth. 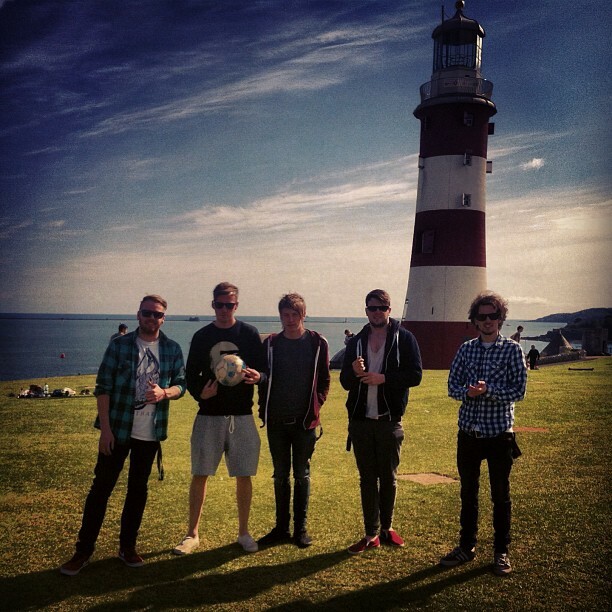 PRS: Hi we are Plymouth Rock Scene, a new blog about gigs and rock in Plymouth and the South West. You guys played at the White Rabbit, Plymouth how was the experience? AWD:We really enjoyed the White Rabbit, it's. really cool venue and the crowd were more than willing to get involved and chat after our set. PRS: Do you have plans to return to the South West any time soon? AWD:We would love to return soon for sure. Over the next few months we are going to be hitting the studio but also have numerous plans to tour so I wouldn't be surprised if we were back this year at all! PRS: When can we expect to be able to own / download any albums or eps? AWD: Right now! If you head over to our Facebook page we have free download links for the last 3 songs we have released. You can also check out our videos for 'perseverance' and 'cancervive' on YouTube. As I said, we are heading to the studio in June and July so we hope to have a mini album out before the winter. We are hoping for really big things to come from our next release. PRS: Where has been the worst place you have played? AWD: I think every band has played numerous terrible shows haha but we did play a particularly poor one in Selby a few months back! PRS For anyone who has not heard your music how would you describe it? AWD: We would certainly say we try to be different and bring something new to the market. We are our own blend of atmospheric, ambient rock pop.